Simultaneously sync and charge your Samsung tablet with your computer using 4XEM's premium quality 30-Pin To USB 2.0 Data/Charge Cable For Samsung Galaxy Tab/Note. Also use it to connect your HDMI multimedia dock or full size keyboard dock to your computer or Samsung charger. Or connect your tablet to your computer allowing your tablet to become an external modem (consult your mobile carrier for data service availability). Multiple uses! 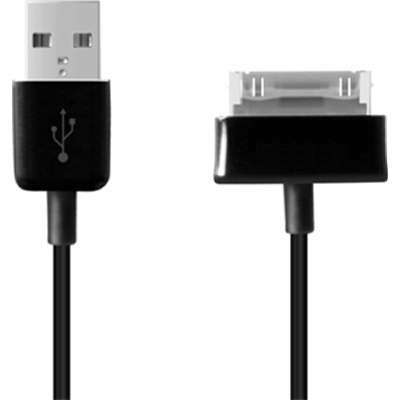 Problem it solves: Makes a perfect high quality backup or replacement charge and sync cable for your Samsung tablet devices. A durable cable with multiple uses. Get to it!When charging or transferring data to and from any Samsung device, always trust 4XEM Connectivity.